A view out north from the steep cliffs west of Sanaigmore. On the right some parts of Islay just visible, first Ardnave (with Nave Island), then the northern part with Mala Bholsa. In the distance on the left Mull with Ben More, in front of it (slightly darker) is Colonsay. 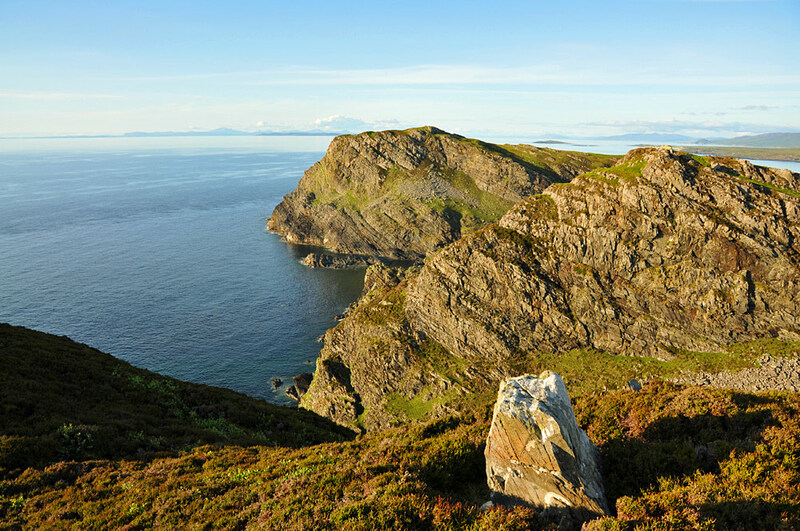 This entry was posted in Landscape, Repost, Sunny Weather and tagged Ardnave, Colonsay, Islay, Mala Bholsa, Mull, Nave Island, Sanaigmore by Armin Grewe. Bookmark the permalink.